History of the Batman relives the defining moments of one of the most iconic figures in comic art and literature, DC Comics Batman. 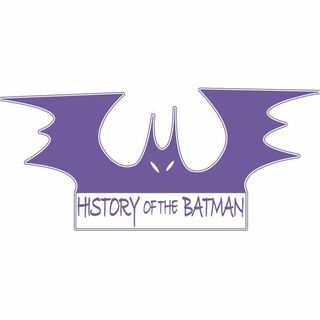 Your Dark Knight Archivist Londyn disxuss Batman's history and how the character, the associated villains, and popular iconography were established and have changed over the last 75+ years up to now. #073: Come Together - Justice League Trailer Review! #072: The LEGO Batman Movie Review! #071: The LEGO Batman Movie: An Interview with Director Chris McKay!! Esplicito #070: Nightwing and Eastwood and Jupiter Jet, Oh My! : With Jason Inman! #069: Robin is Red, Nightwing is Blue: An Interview with Loren Lester! #067: Wonder Woman 75th Anniversary Panel LIVE at Stan Lee's LA Comic Con!